The Volkswagen dieselgate scandal, defrauding both the U.S. government and public as to the emissions and efficiency of some of their cars, is years old now. However, the legal fallout from the deception continues to this day as settlement payouts and even new lawsuits continue to crop up. Early in May, the charges being brought reached the highest levels yet as Martin Winterkorn, former CEO of Volkswagen, was finally indicted (formally charged with crimes) for defrauding the government and conspiring to commit such fraud. They also charge violations of the Clean Air Act— federal law governing air pollution. The charges have been unsealed out of a Michigan federal court. What are the New Charges Against the VW Executive? The new charges allege that Winterkorn, along with a few other high-ranking VW officials, knew of and actively concealed the emissions cheating devices the VW implemented. They even go so far as to allege that Winterkorn affirmatively approved the use of these cheat devices. Apparently, Winterkorn was told that the U.S. was investigating VW’s diesel vehicles almost a year before the scandal broke and set up and approved the plan to implement software that detected when a car was undergoing an emissions test and change the results based on this by activating pollution controls that did not function while the cars were on the road. Specifically, the allegations state that Winterkorn was told about the issue in a July 2015 meeting in Germany. Apparently Winterkorn even had a PowerPoint presentation outlining the details of the deception efforts. The current VW CEO, Herbert Diess, was also apparently present-although he is not being charged now. Winterkorn himself resigned his position quickly after the scandal broke in 2015. 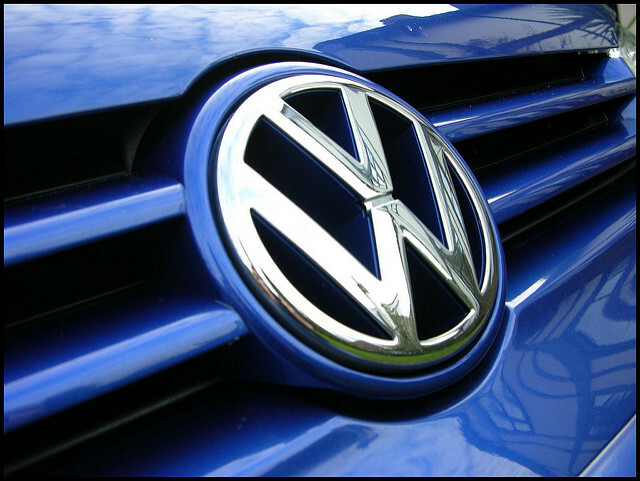 However, the allegations of the indictment are a far cry from the story VW has told for years now. After a VW employee initially blew the whistle on the wrongdoing by showing the devices to California regulators in August of 2015, VW was adamant that nobody at the top was aware of the wrongdoing even after they admitted to installing the cheating devices. Winterkorn himself said the he was “stunned that misconduct on such a scale was possible in the Volkswagen Group.” He, along with VW, said he’d had no idea of the 600,000 devices installed to cheat emissions tests. Even in February of last year, VW executives were claiming that they had misled nobody through their testimony–blaming middle management for all wrongdoing. Winterkorn himself had similar statements around the same time. VW has already had to pay out around $21B in fines and donate to green technologies within the U.S. In addition to the Federal Trade Commission settlement–the largest consumer fraud penalty in FTC history–back in mid-2016, they’ve also pled guilty as a corporation and paid out another $4.3B. They also pledged to buy back, or repair vehicles involved in the scandal. Their agreement with the FTC also requires three years of independent monitoring. Moreover, a high up executive known as Oliver Schmidt also got snatched up while vacationing in Florida and-in addition to $400K in fines, will be spending 7 years in jail. This last part is important to what’s likely to happen going forward, but not because of what happened to Mr. Schmidt himself. Instead, what is important is the reason that Mr. Schmidt had to have his Disney World vacation cut short–Germany does not extradite citizens. Winterkorn himself lives in Germany, and is unlikely to be coming to the U.S. anytime soon. He faces investigation in Germany itself as is, German investigators raided his offices just last month, despite his denial of wrongdoing before German Parliament. This means that, for now, the indictment may be treading water unless Winterkorn makes a very silly choice. However, the indictment will-at a minimum-turn up the heat on Germany to proceed with charges. As of now, Germany has brought no charges but is expected to do so by the end of the year. If the charges in the U.S., or even the expected German charges, stick to Winterkorn it will be a substantial blow to VW itself. A case proving that knowledge of Dieselgate went all the way up would make shareholder cases against the company, already seeking $10B in damages, much stronger. While the charges against Winterkorn are unlikely to amount to too much, there are other elements of charges brought by the U.S. that have more chance to succeed. For instance, extradition efforts when it comes to Zaccheo Giovanni Pamio of Audi out of Italy are more likely to succeed given that Italy does not share Germany’s approach to extradition. Just a week ago, VW’s current CEO told shareholders that VW has strived to be more open and honest. These recent charges aren’t a sign for that effort. However, nothing has been proven yet. Either way, things are about to get even more stressful over at VW.